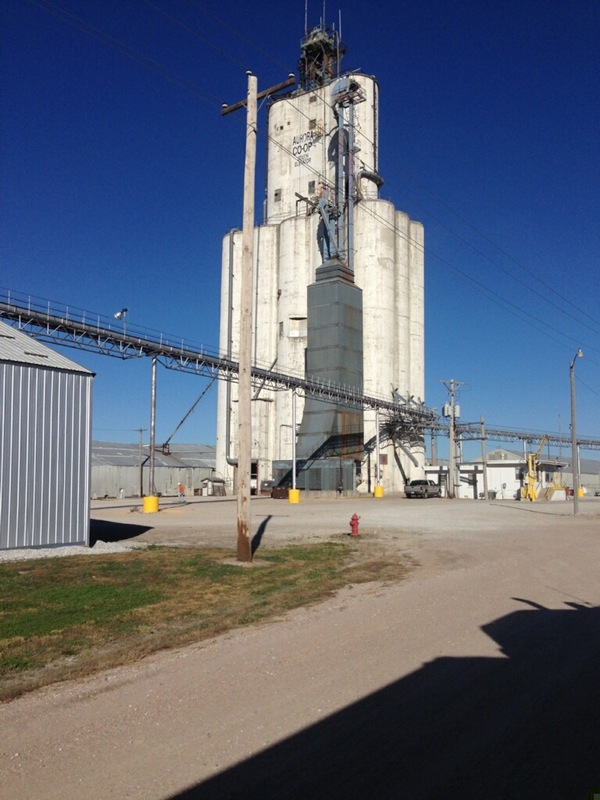 Collin Quiring, a 26-year-old reader of this blog who farms with his brother in Henderson, Nebr., made contact and offered to send some photos when he took a load of grain to the Aurora South elevator, which was built by Tillotson Construction Company in 1959. Collin had first commented on one of Kristen’s posts. A portrait of Tillotson Construction Company’s Aurora South elevator, as seen Nov. 2, 2014, by Collin Quiring. “It’s funny that you drove through Hampton,” he wrote. 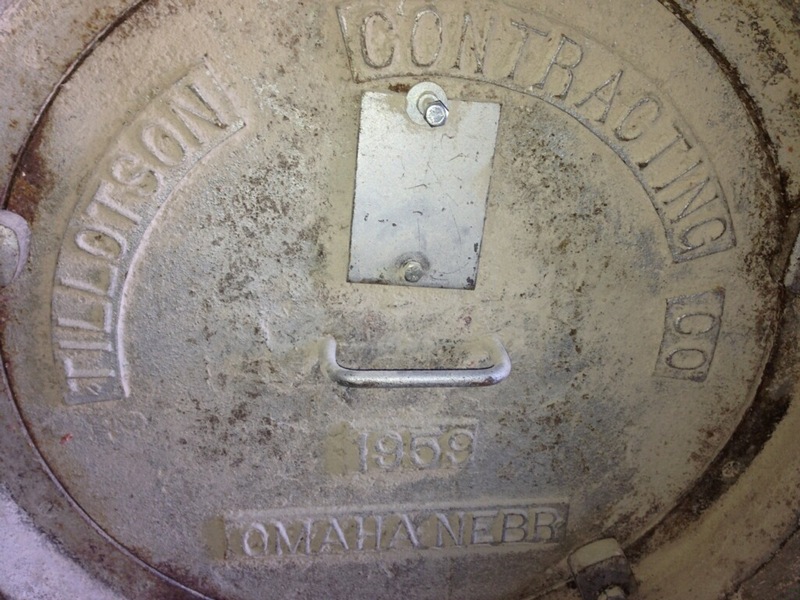 “I’ve been following this blog for a while now and started looking at all the manhole covers on elevators that I haul to, and sure enough there were a lot of Chalmers-Borton, Tillotson, and Mayer-Osborn elevators around. Hampton has the manhole covers on the outside of the silos and they’re 10 feet or so off the ground, so I’ve been wondering who made it for a while now! It looks like you just saw the one downtown elevator in Aurora though? 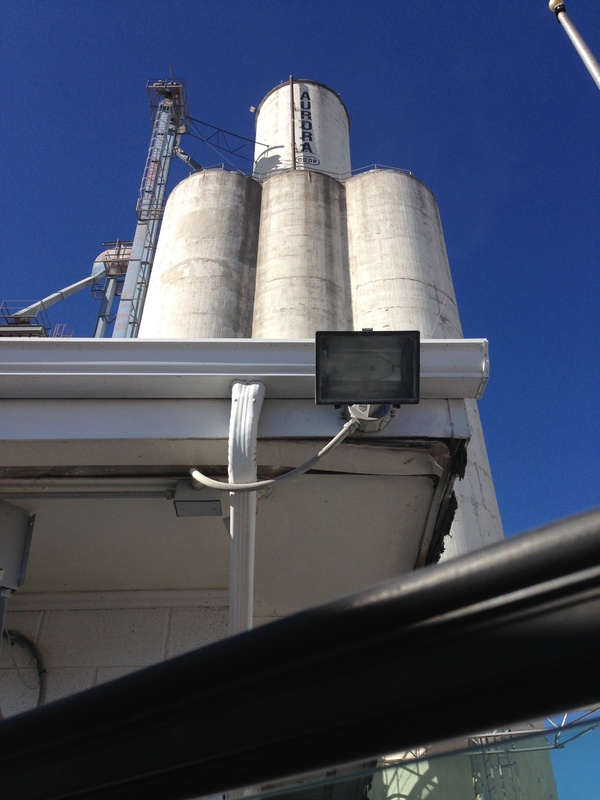 The other elevator is called Aurora South and is on the southwest edge of town. It used to be a Cargill elevator, but Aurora Coop purchased it. So Collin did some more reconnoitering and took pictures on his next run. Collin’s view from the scale house. 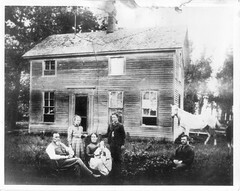 “We’ve been alternating where we were taking corn, and I was planning to get back there for a few more pics. But harvest will be over in an hour. So I won’t be getting back there anytime soon. Here’s what I did get while trying not to hold up the line. Two days later, he made the run to Hampton but found it was not a Tillotson elevator; instead, it was built in 1959 by Grain Storage Construction Company, of Council Bluffs, Iowa. This entry was posted in Miscellany, Photography, Their Work, Tillotson Construction Company and tagged architecture, Aurora Nebraska, Business, construction, grain elevator, slip-formed concrete, Tillotson Construction.